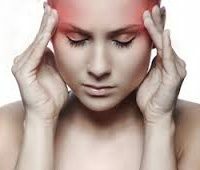 Yoga Asanas to Help Alleviate Headaches….. When you feel a headache coming on,an alternative and healthier approach to popping a pill could be to try the following Yoga asanas. Sarvangasana (shoulder stand): this asana helps calm a headache as reversing the effects of gravity can help alter your blood pressure which is often the cause of tension headaches. Doing slow, rhythmical breathing while you are at it will help even more. Salamba sirsasana (headstand): this asana stimulates the nervous system, the abdominal organs and blood flow in the head area. Inversions are beneficial for headaches stemming from improper functioning of the liver, spleen, stomach and large intestine. Paschimottanasana (seated forward fold): this asana relives upper and lower back pain, toning the spinal nerves and improving blood circulation in the back. Paschimottanasana relaxes the entire body by stretching the muscles from the neck to the feet. This asana is especially beneficial for headaches caused by issues related to digestion, sinus and menopause. Uttanasana (standing forward fold) : in this asana, your head is below your heart. This allows for blood to rush to your head rather than your feet giving your cells a rejuvenating oxygen boost. Shavasana (corpse pose): rejuvenates the body by bringing it into a deep state of meditative rest. This asana will lessen the impact of a migraine attack.